Holly Cole (born November 25, 1963 in Halifax, Nova Scotia) is a Canadian jazz singer, particularly popular in Canada and Japan for her versatile voice and her adventurous repertoire, which spans such divergent genres as show tunes, rock, and country music. In 1983, she travelled to Toronto to seek a musical career. In 1986, she founded a trio with bassist David Piltch and pianist Aaron Davis. Offered a record deal in 1989, the Holly Cole Trio released an EP, Christmas Blues, that year, which featured a version of The Pretenders' "2,000 Miles". In 1983, she travelled to Toronto to seek a musical career. In 1986, she founded a trio with bassist David Piltch and pianist Aaron Davis. 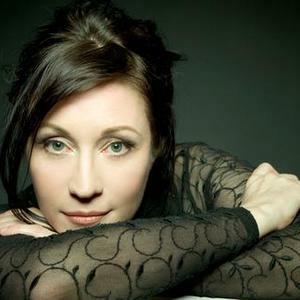 Offered a record deal in 1989, the Holly Cole Trio released an EP, Christmas Blues, that year, which featured a version of The Pretenders' "2,000 Miles". This was followed by their first full album, Girl Talk, in 1990. A succession of releases followed through the early 1990s. For example, 1991's Blame It On My Youth, covered songs by Tom Waits ("Purple Avenue", aka "Empty Pockets"), Lyle Lovett ("God Will"), includes show tunes such as "If I Were A Bell" (from Guys and Dolls) and "On The Street Where You Live" (from My Fair Lady), and even remakes "Trust In Me", from Disney's The Jungle Book, into a strikingly sultry and sinister song of seduction and death. Also recorded in this period was "Alison", a reinterpretation of Elvis Costello's original. Following 1993's Don't Smoke In Bed, the trio released a CD entirely of songs by Tom Waits, called Temptation. With this 1995 release, the "Trio" was dropped from the group's name. Cole next went into a two-album flirtation with pop music, perhaps keeping with the "diva" fad of the late 90s. These albums, Dark Dear Heart (1997) and Romantically Helpless (2000) veered further from jazz by introducing pop elements to Cole's sound. In 2001, she returned to the Christmas jazz roots of her first CD with Baby It's Cold Outside, which included such should-be classics as "Christmas Time is Here" (from A Charlie Brown Christmas), "Santa Baby", and the title track. Swapping cold for hot, she moved to a Summer theme in 2003's Shade, this time reinterpreting Cole Porter ("Too Darn Hot"), Irving Berlin ("Heatwave"), and The Beach Boys' Brian Wilson ("God Only Knows"). Cole's latest album, Holly Cole (originally entitled This House Is Haunted) was released in Canada in March 2007. It was released in the US in January 2008 and was followed by a US tour. Cole tours frequently, particularly around the holiday season, in Canada. She was also a part of the 1999 Lilith Fair tour.